Close your eyes and let your memories take you to a simpler time. Traditions from years gone by are represented in our huge selection of nativities, which range from time-honored classical to playful contemporary sets. Angels inhabit a special place in our hearts and in our store. 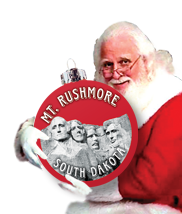 Browse through our magnificent inventory of figurines and ornaments. Santa abounds in the village store. Traditional, occupational and everything in between will strike your fancy. 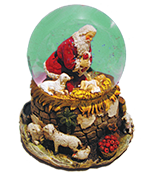 To honor that jolly old elf worldwide, we offer many international Santas and ornaments to deck your halls. Let Heaven and nature sing! Music fills the air when you open a a gift of a music box. Celebrate members or special occasions with this keepsake. Musical instrument ornaments so realistic you feel you could actually play them are also available. We offer many instrument ornaments including string, brass, woodwind and percussion instruments. Reminisce those days at Grandma's house. The sounds, aromas, and the beautiful table coverings and doilies displayed on her furniture. We carry an enormous selection of Heritage Lace and appliquéd doilies, runners an d table cloths in many patterns, colors and sizes.